Another common bird in our yard is the brown thrasher (Toxostoma rufum). It belongs to the same family (Mimidae) as the mocking bird. It seems to spend a lot of time on the ground inspecting the edges of our lawn where leaves accumulate. Like the mocking bird, it is a prolific "singer". According to wikipedia, brown thrashers know up to 3,000 songs (sounds like they are improvising). 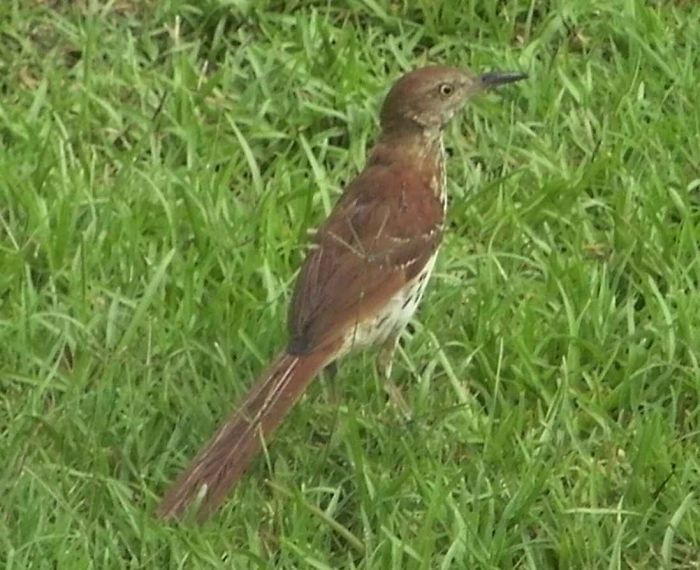 The brown thrasher is the state bird of Georgia.